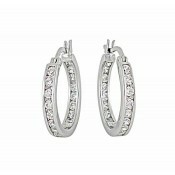 Stunning Cubic Zirconia Silver Hoop Earrings 18mm from The Opal silver hoop earrings collection. 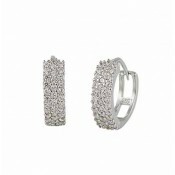 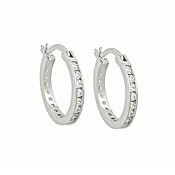 These glamorous hoop earrings are made from sterling silver with a hinged snap fastening (huggie studs). 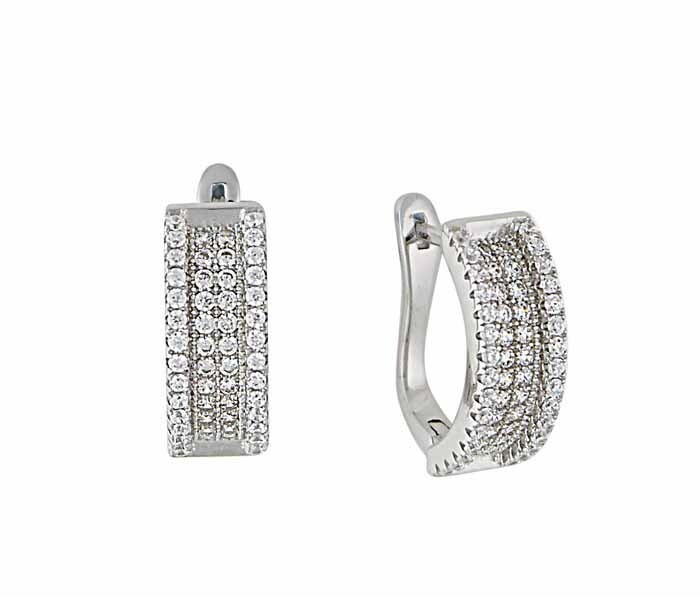 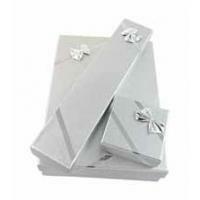 The design features four rows of clear Cubic Zirconia gemstones two inset and two raised to add depth as well as sparkle.